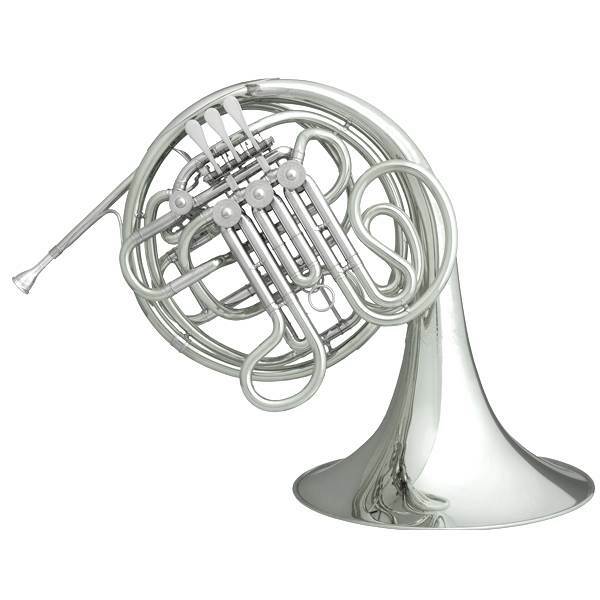 Full Doublehorn Bb/F Hans Hoyer 7801NS Heritage "Cruspe Style"
The Hans Hoyer 7801 F/Bb Heritage Series French Horns are “Kruspe” style instruments for players who are looking for the large dark “studio” sound without compromising control. The design was developed in close cooperation with key artists, including Vince De Rosa and Myron Bloom. The bell receives special attention in the annealing process as the last branch and bell flare are made from one piece of brass rather than the traditional two-piece design. This brings out additional harmonics and resonance that players respond to. The valves have also been specially treated and hand-fitted to have an “aged” feel so players do not have a “break-in period” and can be very comfortable from the very beginning.